Everybody of us uses laptops for a plethora of purposes, from playing games to do some unofficial work, and from watching movies to video editing. 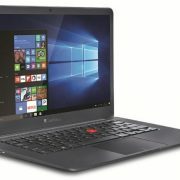 To some people, the laptop is just a piece of device, which is just the world to them, while there are some, who want to purchase some great accessories with laptops to get the most out of it. I am the 2nd type of guy and want to have some cool laptop accessories, to keep myself and my laptop free from any kind of hassles, and increase my productivity in all the possible ways. You can find a variety of laptop accessories on the Internet, and from local stores, but here I will be talking about the top 10 best laptop accessories, which you should surely have, not only to increase your productivity and keep your laptop working perfectly, but it can also be helpful for you for a number of different reasons. The accessories, which I will discuss over here, will be helpful for most people out there, who want to take the maximum advantage of the laptop and use the laptop in offices, coffee shops, college libraries, and a number of other places. Though one or two of the accessories mentioned here might not be important for you, but I’m sure the other accessories will surely be helpful, and can obviously increase your productivity. Without discussing further let’s move on to the 1st of the must-have laptop accessories for the techy guys out there. 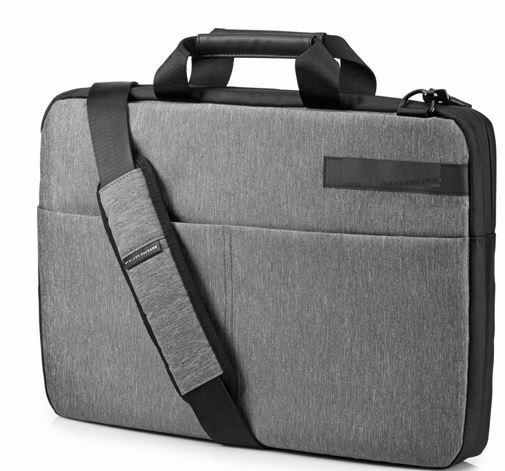 When you are having a laptop, a laptop bag is among the best computer accessories, and it is the most important one, as well. When you carry your laptop, you should also protect it from dust particles, rain, and other natural calamities. Apart from carrying your laptop, you can also carry some other accessories like, your books, power adapter, and a number of other important items, which you might need when you are going out. In most of the cases, a laptop bag will come free with a laptop, but it is worth paying some extra pennies to get a better and a stronger laptop bag, with other extra compartments to carry your most important other items. Yes, all the laptops come with a touchpad, which can sometimes be even helpful for the purpose of scrolling, and do all other tasks, replicating a mouse. But I bet, you can’t deny, working with a mouse is always a lot more helpful. I’m talking about the majority of laptop users. If you are one of them, who is not that comfortable with the touchpad, just like me, and want to maintain the same level of productivity, even with your new laptop, you should get a wireless mouse right now. 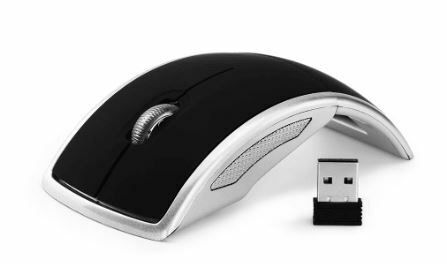 Wireless mouse! But, why not a wired one! 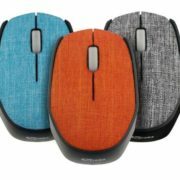 Yes, you can always go for a wired mouse, but as far as a mouse is concerned, it is always easy to work with a wireless one, and it can even keep your desk free from unwanted wires. You can even get a keyboard and mouse combo, which is another one, among the cool laptop gadgets, if you play a lot of games, and do not want to use your delicate laptop keyboard for that purpose. All the laptops become warm, when they are used. If you do some high-end tasks like playing games, and video editing, it will turn hotter, and you will find a drop in performance due to throttling. Don’t worry. With the help of a cooling pad, which will be placed underneath your laptop, you can maintain a stable and comfortable temperature for your laptop, which can eventually be helpful to maintain the optimal performance for your laptop. Thus, if you are looking for some great work laptop accessories, to maintain the performance and long life of your laptop, a cooling pad is a must for your laptop. 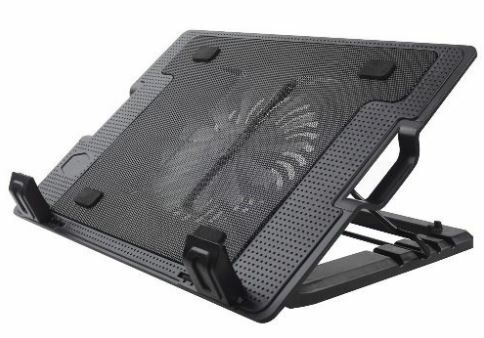 Even if you are living under air conditioning comfort, a cooling pad can be handy for you, if you want to play games on your laptop, and want to overclock it to meet your requirements. There are even some cooling pads, which come with liquid cooling, to keep your laptop even colder. It will be handful for a niche of users. Most laptop nowadays come with support for Bluetooth, and if you are fond of entertaining yourself, with some handy laptop accessories, a Bluetooth speaker or headphone is a must for you. 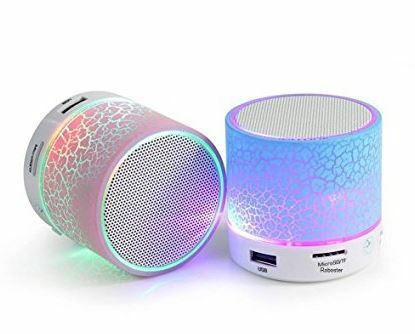 If you love listening to music on the speakers, go for a Bluetooth speaker, and if you are like me, who is fond of listening to music, within the private space, a Bluetooth headphone is a must for you. As far as a laptop is concerned, it is better to have a Bluetooth speaker, instead of a wired one, as it can help you to entertain yourself, when you are going out with your pals, for a hangout, without the need of power. Isn’t that cool! It can also keep your life free from wires, which can also be helpful. Do you work for long hours at night, in your home or dorm? If so, don’t make other suffer, for doing your work, and get a USB light right now. With the help of a USB light, one of the most handy laptop accessories, your keyboard keys will be easily visible to you even at acute darkness, and you will not be teased the next day for spoiling the sleeping hours of your friends and family members. 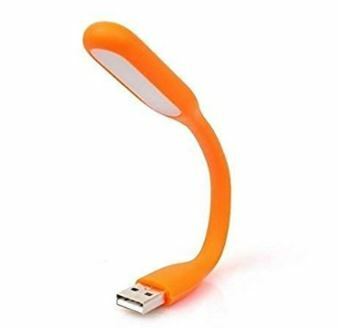 The USB lights are available from various stores and at prices less than Rs. 200, from various online and local stores. If you are having a backlit keyboard though, which is available only on a handful of laptops, you will not need a USB light. I don’t think, anybody need the elaboration of why an external Hard Drive is important. Most laptops nowadays come with SSDs, where the storage capacity is very limited, often to 250 MBs, and in such cases, you need a good amount of storage to store all your files, movies, songs, and what else. Even if your laptop come with a massive storage, of 1 TB or more, you cannot deny the importance of an external Hard Drive, which can act as a backup for all your files, and can also offer you the option to share files at your convenience. Yes, but why the lock! You don’t know, where exactly you will carry your laptop, and in such cases, encrypting your Hard Drive with a lock can ensure the safety of your data, when it fall in wrong hands. 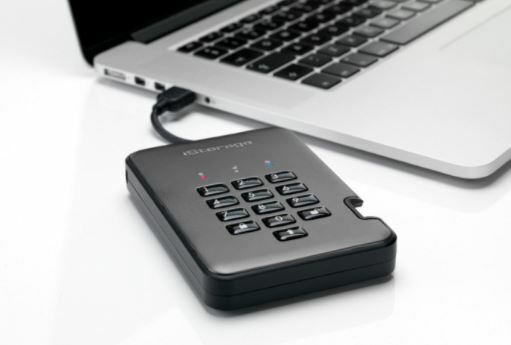 If you really count on your data, work with a laptop, and don’t want your data to be misused by wrong hands, an external Hard Drive with lock should be on the top of your laptop accessories list. Whether you are working in your office, or is a college student, you will surely need a hardcopy of numerous documents from time to time. There is no doubt, you can always get a hardcopy of your important document from a local shop, but, what to do, if you need to get your hardcopy, and the nearby shops are closed. 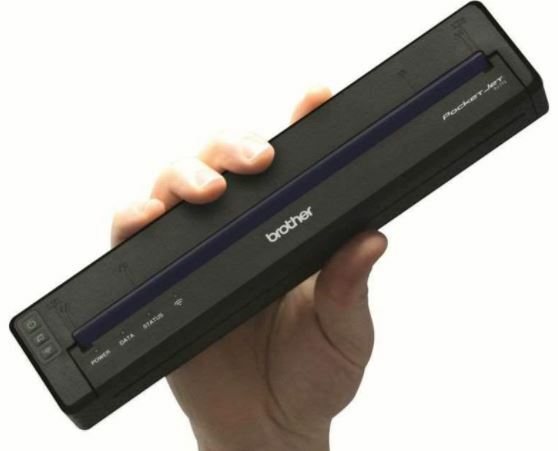 In such cases, a portable printer should always be on the list of laptop accessories kit. Though you cannot expect similar performance from a portable printer, as you can get from a full-fledged printer, but it can be a lifesaver, if you need some prints in the last hour, just before your office meeting, or on the day of submitting your assignment. Do you have the habit of keeping your laptop unprotected in your college library or other similar places, where a lot of other people visit! If it is so, it is time you should purchase a laptop cable lock, which is one of the best among the laptop gadgets accessories, to keep your expensive toy safe. You just need to connect one end of the cable to your laptop, and the other end to some surface, and your laptop will be safe. 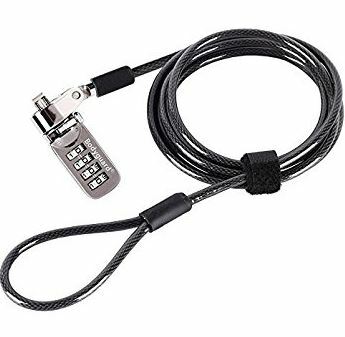 Purchasing such a lock cable though, will not ensure complete safety of your laptop, but it will be difficult for the burglars or other unauthorized people to steal your laptop. If they try to steal the laptop, it will surely catch the sight of others nearby, who can stop the burglar from doing so. In most of the cases, such a small level of security can be helpful, rather than having no security at all. Most of the devices mentioned here require an USB port to function. But most laptops have limited USB ports, and thus, you need more USB ports to use all the accessories at a time. In such a scenario, it is necessary to have a USB Hub, which can power and connect almost all the devices mentioned here, to your laptop at the same time. Apart from that, a USB Hub can also be important to transfer files to and from flash drives and pen drives, in case you run out of USB ports, on your laptop. In such cases, as well a USB Hub is necessary, to connect the storage device to your laptop. 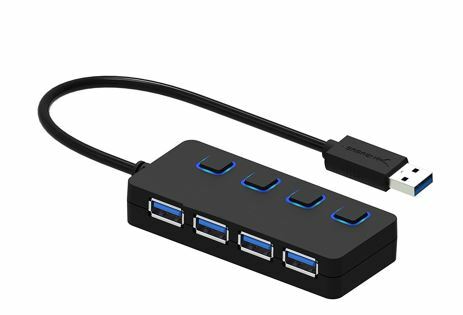 You should go for a USB Hub, depending upon your requirements, and a USB Hub with 4 USB ports is the minimum one, which you should go for. We are living in an era, when everything is polluted. 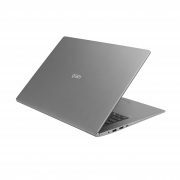 Dust is something, which we can adjust to, to some extent, but dust is the biggest enemy for electronic gadgets, and your laptop, as well, is not an exception to that. Thus, if your laptop is your best friend, and you want to maintain a long life for your best friend, a laptop cleaning kit is something which you should purchase today. 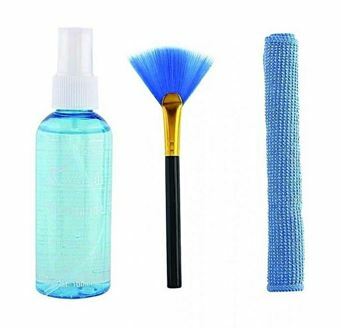 A laptop cleaning kit comes with a liquid to clean the laptop, a piece of soft cloth, and a brush to remove dust from sensitive areas within your laptop. A few of the laptop cleaning kits can also clean the internals of your laptop, which can be handy for you, if you can unscrew laptop parts to clean or repair them from time to time. The list of important laptop accessories doesn’t end here. You can also purchase a number of other laptop accessories like a USB fan, second monitor, TV tuner card, and other products, depending upon your specific requirements. As for gaming laptop accessories, you can go for USB gamepads, to get a better experience of playing games on your laptop. You can also go for other accessories if you are missing certain internal accessories. Though that is not important nowadays, as most laptops come with Wi-Fi and Bluetooth radios in-built, which can be helpful in most of the cases. Nowadays, there are external GPUs, which you can go for, if gaming is the basic requirement for your laptop. 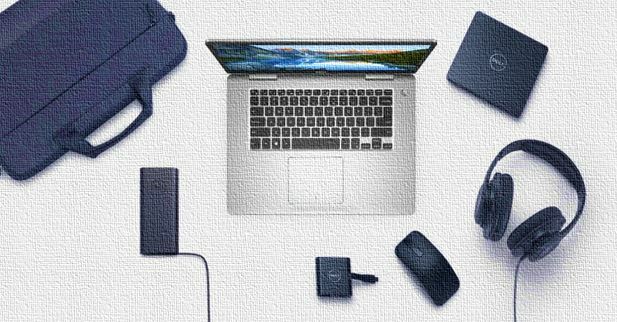 Hope this small article about the top 10 best laptop accessories will help you in purchasing the best accessory for your requirement! Which laptop accessory will you go for, in the present year? Let me know in the comment section below.